Responsive – they work and respond like any regular car steering. Electric brakes – the i-MiEV electric car comes with brakes that offer you with that realistic and firm pedal feel. 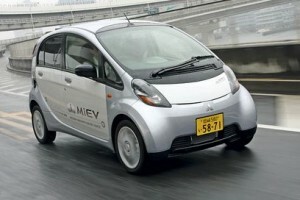 However, users of this new i-MiEV from Mitsubishi should look over the car’s mileage capability. This kind of hatchback is comparable to any other types of electric cars out there, which cannot go any farther even when they’re in full charge. As a matter of fact, the US government has estimated that the Mitsubishi i-MiEV can go any farther than 62 miles as far as mileage is concerned. Depending on the kind of charger that you use, charging time can go from seven hours up to twenty-two hours to get fully recharged. Car lovers who want something practical to use has i-MiEV. And if people have a limited budget then this is an ideal choice for them. This is going to be a very affordable and smart purchase for them because of its good attributes and characteristics. Mitsubishi offers the i-MiEV electric car at a cool and amazing price of $29,975 and this includes the destination charge. It also comes with a 66hp electric motor, 16kw lid-ion battery, and a single speed, direct car drive transmission. Do you have thirty thousand dollars and you’re looking for a car that’s within that price range? If you think this is impossible for a brand new car then you’re wrong. 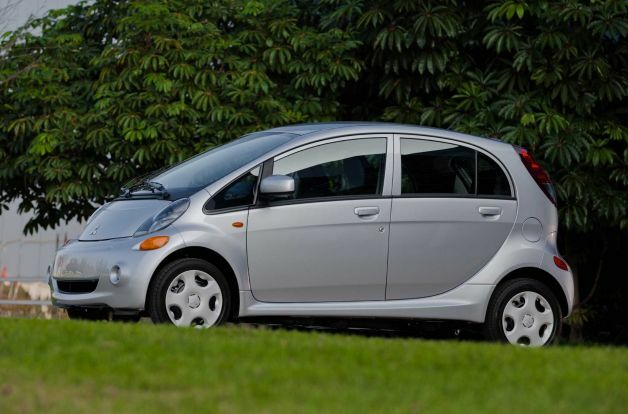 With the Mitsubishi i-MiEV electric car, you can have something very essential to buy with your $30K! The i-MiEV is an all-electric type of car, which is considered as the cheapest, and the most affordable brand new car in the United States today. With such an exciting price, more and more people will have the opportunity to come up with a car that is not only well priced but irresistible too. The Mitsubishi i-MiEV electric car is a small type of car that comes with five doors and a very small hood right in the front part of it. The federal government has also rated this fantastic car with a staggering and eye-popping 126/m per gallon. This is the required rating in terms of city driving in the US. Sensitive steering and Plucky personality – these features are electrically rendered by the i-MiEV electric car. It’s a new take in marketing and positioning as it veers away from the more urban appeal of the “Imported from Detroit” campaign launched in 2011. The association with the Batman movie franchise will prove to be a good move judging from the estimated $2.6 billion revenue accumulated worldwide ever since the Caped Crusader had its premiere back in 1989. The all-American style of Chrysler 300 is partnered with a tough yet elegant personality. It’s likely for people to visualize this large five-passenger sedan gracing the streets of Bruce Wayne’s neighborhood. It is expected to see a bump on the Chrysler 300 sales once the promotion and movie release kicks off. Without this marketing strategy, the 300 is still a pretty good choice for consumers who are looking for a sedan with elegant style, luxurious features, and updated powertrain. The 2011 Chrysler 300 came out with a number of downsides but with this year’s edition, most of the issues have been addressed and ironed out. The Chrysler 300 just doesn’t stop from reinventing itself. Since its debut as a prestigious brand in the 1950s, it has experienced an all-time low when it slid behind other brands for more than 30 years. It picked up the momentum when they launched the 300. It is a no-brainer to think that they only hope for it to stay there. The spotlight will once again be turned to Chrysler as the brand ties up with one of the much-awaited films of the year, The Dark Knight Rises, from the ever-popular Batman series. Yes, the luxury sedan will be coasting from Detroit to Gotham City just in time for the July 2012 release of the Batman prequel. With its unmistakably grand exterior, which exudes a dark and strong vibe, Chrysler 300 is the best bet for this movie. 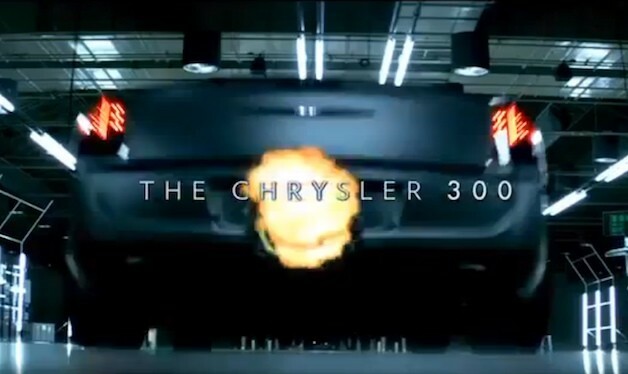 Chrysler has announced its intention to allow people to come up with an original TV spot featuring Batman and Chrysler 300. The “Imported from Gotham City” contest will definitely produce the publicity intended for the brand. Interested participants will include Chrysler 300 footage, snippets from the movie, and musical scoring from the trailer to complete their TV spot entry. The director, producer, and writer of the film, Christopher Nolan will personally handpick the winner after the public places their votes. The chosen entry will be awarded TV airtime just around the time the movie premieres in July. The interior of the vehicle is dominated by white hues. The seats of the Cabrio were covered with white cotton seat covers, while changing the convertible colors to white. The dashboard and the steering wheel were left untouched, which unfortunately does not improve the appearance at all of his vehicle. The white motifs inside were made to evoke the Easter holiday and references to a white rabbit, which is an icon of Easter. He did upgrade the stereo system of his vehicle, replacing the old FM radio console with a modern one equipped with an MP3 and CD player. 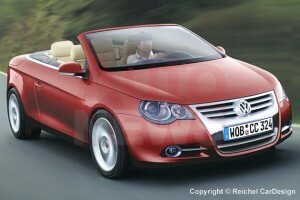 With that said, his newly customized Volkswagen Cabrio is ready to flaunt the road. It is unfortunate that little changes were made to his vehicle besides the paint job, seat and convertible covers, but a lot of auto news suggests that it is not bad at all to refurbish and improve your vehicle with a particular product or brand as inspiration. Usually they are of a more popular and iconic type, which is an easy way to get an idea for the exterior tuning. Examples of these include pop music artists, Hollywood actors, films or musical creations, brands, franchises and organizations. No matter the trademark, car owners often tell the custom specialists that their vehicles need to be customized with a theme inspired from popular culture. Again, there is nothing wrong with that. This owner takes his softdrink-inspired Volkswagen Cabrio to the road, and as he drives his newly customized red car, owners may be thinking of other ways to freshen up vehicles through a good reference of pop culture. 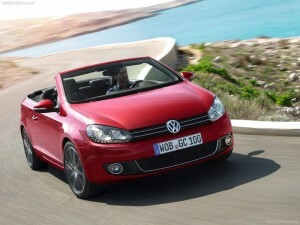 Volkswagen is most famous for its Beetle line of cars, which are affordable for middle class drivers. However, another model has also proved viable to middle class citizens. The Volkswagen Golf, known to the United States as the Volkswagen Rabbit, has become the popular alternative to the iconic but seemingly outdated Beetle. For this owner, he owns the convertible version of the Volkswagen Golf, known as Volkswagen Cabrio, and decided to make refreshing upgrades to this version of the Cabrio. The owner’s concept of upgrading his vehicle was inspired from a can of Coca-Cola. After all, the base color of all its cans is red, and sure enough, the paint job in the Volkswagen Cabrio reflects the red motifs of the famous soft drink brand. Then again, the red color may also be associated to Valentine’s Day, another widely celebrated occasion for lovers at heart. Little changes were made to the rest of the vehicle, except for an improved bumper design. On the performance side, he upgraded the fuel pumps to his car.